I purchased a comb in Mojave. It’s a silly thing to mention, but I thought I’d explain. Knowing I’d be wearing a hat continuously for six months, I had my hair buzz cut. I hate the greasy hat hair, so I had no need for a comb. Then I decided to NOT cut my beard until I reach Canada. Well, the darn beard is almost 1/2″ long and needs grooming. At least getting rid of the food and other bits that get attached in there. So, one more thing to carry. I wonder how much a comb weighs? 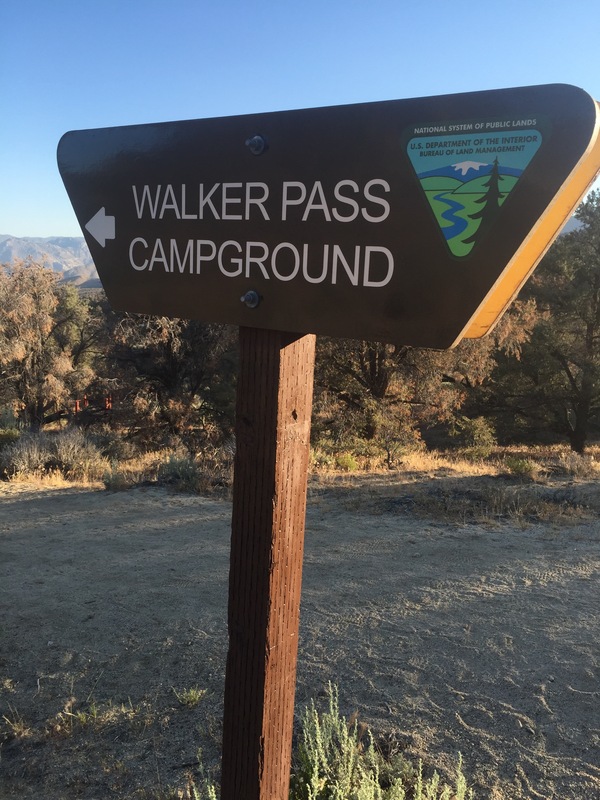 Another hiker mentioned that Tehachapi Pass is the southern end of the Sierras. If true, then I’ve arrived and I’m happy! Most hikers consider Kennedy Meadows the start, but only because it’s the last resupply point before entering. Geologically, I’m not sure. After Leaving Tehachapi Pass I waited out some of the afternoon heat then hiked till 6:30pm. I only made 10 miles but I found a nice camp site nestled in boulders to block the wind. People passed my camp up to at least 10pm that night, night-hiking the trail. They made me feel bad for not doing the same. I figured my group did 18 miles that day, and me just doing 10 is going to make catching them tough. I started at 5am to try making the miles. The terrain was tough: lots of steep hills with few switch-backs to even out the ascents. I do poorly on very steep trails. After 12 hours I entered some awesome forests at about 8,000 ft. (Very much like the sierras) and I hiked another two hours to add some mileage and found a nice campsite on Hemp Walker Pass. 14 hours and I just did 20 miles. 😓 However I slept wonderfully under the pines. 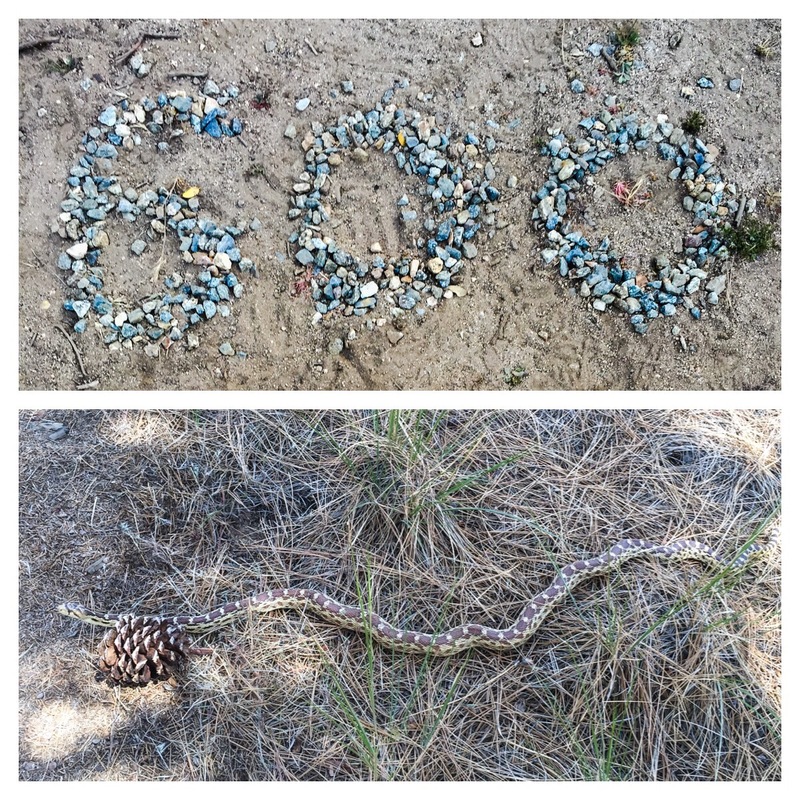 Two big things today: I passed the 600 mile point and I caught up to the group. I filled up with water then finally caught up the group. Everyone was surprised I caught them. (Myself included) It was nice reunion. We left the last of the trees and descended back to desert conditions. However when we got to Kelso Road, we found a trail angel! Bill and his wife drove up from LA just to hand out sodas, fruit and water to hikers for the day. A can of coke never tasted so good! The Watermelon was amazing, too. Wonderful people! We had just 7 miles to hike to meet Tim. We (the group) hired Tim when we were in Mojave to bring us water! This stretch is over 45 miles of waterless desert before we get to Walker Pass, and we met Tim at the 15 mile point. We will hike another 8 miles once the heat abates. I will carry just six liters and I hope it’s enough. Sitting under the yuccas from 12:30 to 3:30 does conserve water. The sun is wickedly hot in the middle of the day, but the shade isn’t too bad. My third month on the trail! It seems surreal that this journey started in April, and now it’s June. My progress has been slower than I planned, but I hadn’t planned on a week in Wrightwood, either. After a windy night at Bird Spring Pass, we hit a major hill that took us up to 6500ft and back into trees. Most of the day was spent winding through trees; it was nice hiking weather until the trees thinned and the day got hot. With just 4 miles to go in the morning we should get there before 9am easily. The plan is to hitch into the town of Lake Isabella, pick up our boxes at the post office and hitch to the KOA to wash clothes, shower and spend the night. Very good to catch up with you, and I am glad you caught up with the group. I think it’s amazing, 600 miles … WOW! I’ve been reading your blog with special interest as my wife and her hiking partner (Subway and Sugar High) are close behind you. They will probably spend tonight (June 2) near Bird Spring Pass. It’s great reading your blog to see what they will be up against in the coming days. 600 and on month 3 already, wow! Can’t believe I’ve been following that long already. 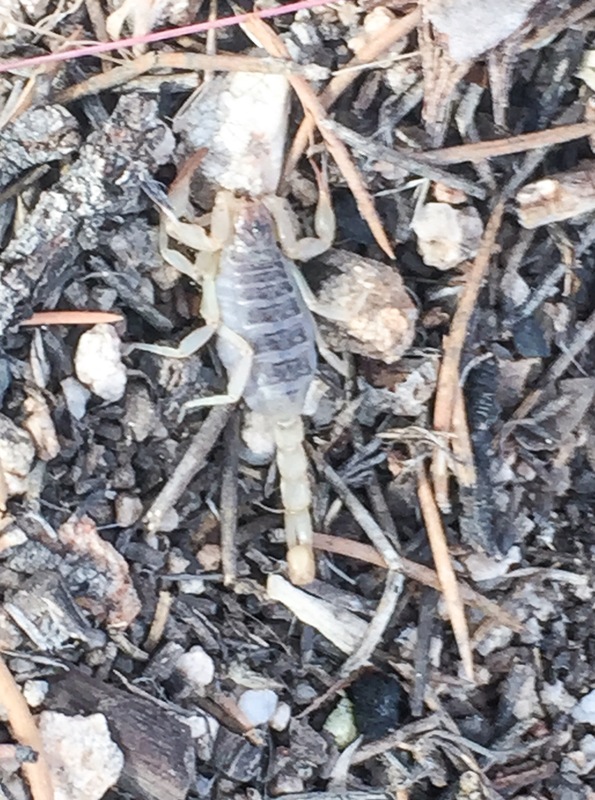 How on earth did you spot the scorpion? Ugh, shivers!